I have a confession to make. When I heard that Ronan Keating was taking over the lead role of Guy in Once the Musical, I was a little sceptical. The film is a beautifully raw, rough-around-the-edges, indie classic, and I wasn’t sure whether Keating was perhaps a little too commercial a choice for this role – perhaps too polished and too good-looking to be a down-on-his-luck busker in Dublin. Would he be able to sing without the usual layers of pop production behind him? And could he actually act? Having watched his performance at the Phoenix Theatre last night, I can confirm that the answer to these questions is a resounding ‘yes’, and I hereby heartily eat my words, acknowledge my snobbery, and add my assumptions to the very long list of things that I have been wrong about. 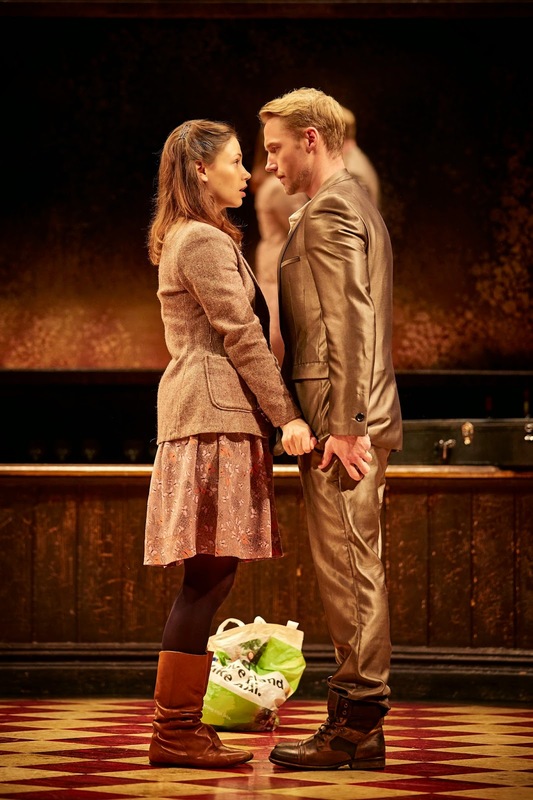 Once the Musical has been running in London for around 18 months now, and has in turn featured Declan Bennett, Arthur Darvill, and David Hunter in the lead role. The story revolves around a chance meeting in Dublin between two music lovers: guitar-playing Irish Guy (Keating), and piano-playing Czech Girl (Jill Winternitz), who bond over their shared passion and record an album together. Ronan Keating brings a real charm to the role of Guy: he is understated and even a little unsure of himself, which perfectly conveyed Guy’s heartbroken and directionless state at the beginning of the story. Jill Winternitz is an ideal foil as the breezily no-nonsense Girl, but she also brilliantly brings out the character’s underlying uncertainty and sadness, particularly in the scene containing her piano solo at the emotional crux of the story. Crucially, both performers are incredibly talented singers: Ronan Keating in particular unleashes a grit and passion in his voice that perfectly suits the raw emotion of Glenn Hansard’s songs. Enda Walsh’s book is also beautifully-crafted, making us care for the central pairing of Guy and Girl whilst adding warmth and humour to the supporting roles. Watch out in particular for a hilarious turn by Tim Prottey-Jones as the karate-loving music-shop owner Billy, and Jez Unwin as a softly-spoken bank manager secretly harbouring musical ambitions. The story itself is heart-warming without being overly syrupy: it communicates its messages of love, loss, and second chances with the lightest of touches, and had several audience members around me in tears by the end. At the heart of it all is Glenn Hansard’s wonderful music: the lead song, ‘Falling Slowly’ rightly won the Best Original Song award at the 2007 Oscars, and hearing it performed live and with such passion by Keating and Winternitz was just one of many highlights in a top-class production. A must-see for all music lovers! 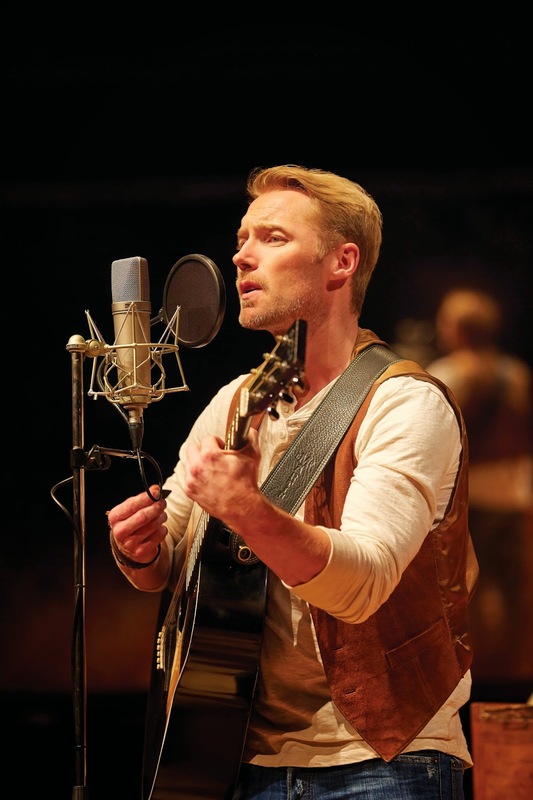 Ronan Keating will perform the role of Guy except at performances on 20 January and 24 January 2015.